Why pay when you can get it for free? Most people think that free money is a myth and while the web inundates users with spam there are legitimate ways where you can get free money now. There are organisations, millionaires; philanthropists all giving away free money as long as you are eligible. In this post we take a look at some of the ways where you can get free money online. I have not included the links as these change from time to time. You can find all the sites online. If you’re experiencing hardship and are on a low income with a large family the government does have programs to help you. Some of the programs and initiative include Food Stamps through the Supplemental Nutrition Assistance Program. You can also get rental and mortgage assistance through the Department of Housing and Urban Development. You should also be eligible for Energy assistance through LIHEAP which stands for Low Income Home Energy Assistance Programs. If you’re unemployed through no fault of your own you could claim unemployment benefits where you could get anything between $300 and $450 per week depending on your circumstances and the state in which you reside in. 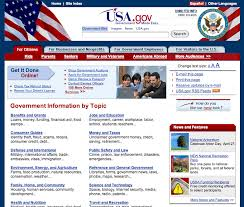 Visit the USA.Gov website to see all the programs available in your state. Knowing how to get free money from the government can make your life a little easier so its well worth the investment in time. Large companies use cash back promotions to lure customers into trying their products or services. 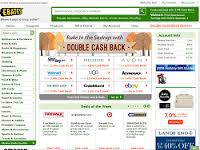 There are lots of ways to get free money online using cash back sites. You can receive cash back for shopping, cash back for using credit cards and cash back for just paying your bills. I have a cash back checking account where I receive 1% for just making my mortgage payments, in a year I receive $300 in free money. Here is a list of all the cash back programs that I could find. Take action now and join some of these programs and spend normally and just watch your cash back mount up. 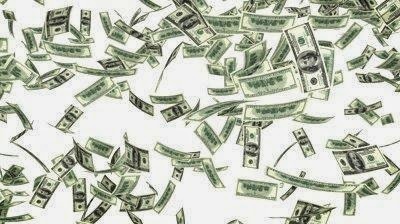 Just knowing how to get free money online can add hundreds to your checking account every year. Must Read: Where Can I Get a Free Car for My Family? Knowing where to get free money using surveys can also add more money in your bank account. This isn’t strictly free money as you have to complete a task in order to get compensated. You can fill out surveys during your spare time and make between $1000 and $5000 per year depending on how much time you invest in the project. If you have most of your day to spare and are at home this is the perfect environment to just fill out surveys and get compensated. I have compiled a list of the best survey sites which have a proven track record of paying people money on time. Large companies are always fighting for our custom. It is no longer effective to offer customers discounts to try their products. Now large multinational companies have resorted to paying customers to try their products in the hope that they will purchase the item or continue with their subscription. You can get tonnes of free money for trying out new products and services. Handsome compensation programs belong to financial products and services. I have made a list of all the best legitimate products that you can try for free and still get compensation for it. You can cancel the subscription if it’s no longer useful and keep the money. Credit companies are virtually giving away their money to people who have impeccable credit scores. These credit companies are offering money at 0 percent for periods between 12 and 24 months. Some of these credit cards only charge a fee of 1% to transfer the money to your credit account. The trick to stoozing is you borrow money at zero percent interest and then put the proceeds into a high profit credit account. Personally I have $30,000 which I have borrowed for free. I pay 1% for the transfer into my back account for 24 months and then invest the money into peer to peer lending through companies like Trust Buddy who pay 12%. At the end of the two years I will earn $7632 just because I’ve got a great credit score. Here is a list of all the credit card companies currently lending money at zero percent interest. There are literally hundreds of grant programs for people who want to get themselves out of poverty and for those who want to make a contribution to society. The Bill & Melinda Gates Foundation have a number of programs open to students in the USA and abroad. To take advantage you need to research into programs that suit your circumstances. Suppose you’re a student wishing to make a contribution into medical research then there are programs to help you achieve this. If you’re a talented student who need money to study you could find a scholarship programs which will fund your education. Here is a list of all the foundation that offer grants to help people all over the world. Warren Buffett has pledged to give away nearly all of this wealth to charity. Bill Gates, George Soros, and other billionaire philanthropists have pledged to give away over half of their wealth to charitable foundations. Oprah Winfrey and Ellen DeGeneres help their fans with financial assistance on nearly every show. You can get access to free money from millionaires, billionaires and philanthropists if you’ve got a genuine need. You can apply for grants and scholarships as well as programs which are designed to help you climb out of poverty and into prosperity. You can definitely get money for free. The programs and offers mentioned above are completely above board and legitimate. If anyone was to allocate their spare time to finding free money on the internet through cash back, surveys, grants, scholarship and paid product trials then they could earn a significant second income. Take action now and slowly build your free money portfolio. These things definitely take time however when you start to see the money roll in it will be worth it. I have begged for help, I'm dying here and no one will help. I have Multiple Sclerosis, my used washer and dryer as both broke since I opened this. PLEASE, TAKE 5 MINS TO READ THIS. I'm not asking because I want, I'm asking because I NEED AND MUST. I beg anyone to help, I was taught to never ask for help. This has been the hardest thing I have ever had to do. PLEASE, my community has let me down. Thank you just for reading it!!! I am sorry to hear about your circumstances. I have emailed you with my response and I hope it is helpful. Do you need a loan to pay debt, Pay bills, buy a new home and refinance your business? if yes, contact VICTORIA LAWSON LOAN FIRM VIA email: marianlawson@outlook.com for easy and fast loan amount transfer. When i could not face my debt and i need a hug money for hospital bills, to get a home improvement and to refinance i came on line to search for lender and i met how VICTORIA LAWSON had help several person. i immediately contact her company with my details and my loan amount was approve within 48hours and i receive the credit in my bank. contact VICTORIA LAWSON LOAN FIRM with (marianlawson@outlook.com) For fast approved loan. Great post. This is definitely something low families can do to increase their income. Cash back credit cards and shopping is a favourite of mine and I've made thousands of dollars just be using these methods. Thanks for sharing and looking forward to some more great resources. Thanks David, I really appreciate your comments. Yes more posts will be published soon. Take Care. May Allah's mercy and blessing be on you,your family and friends.I seek help from Allah firstly and from you my loving friend.Am seeking a solution firstly from Allah and then from you for matters which are too heavy for me, am helpless in combating the problems and for that I have resorted to seeking help from Allah first and from you. My life is filled with sadness but I hope with Allah's mercy and your support i will be able to put a smile on my face once again. My troubles started when i lost my father,since then life turned up side down in terms of financial support.So his lose put my studies on hold.Now am stranded since I do not have any financial help.Am in my final year of my MBA degree in Osmania university Hyderabad India but am from Uganda.My course fees for one year is $ 1500. Am so helpless that i depend on my few friends for housing and feeding.I want to finish my degree so that i can get a good job and help my struggling mother and family. In Allah's name the Almighty,The most powerful,The creator,The most compassionate i humbly ask you to help me finish my studies. We’ve provided over $180 million in business loans to over 15,000 business owners just like you. We use our own designated risk technology to provide you with the right business loan so you can grow your business. Our services are fast and reliable, loans are approved within 72 hours of successful application. We offer loans from a minimum range of $5000 to a maximum of $500 million. Greetings from me. I am S. Chakma from Bangladesh. We are indigenous community here and facing various political and economical crisis here. We also been refugee in 1988 in India and back in 1999 after the peace accord 1997 with Bangladesh Govt. Very hardly I completed my graduation but due to job crisis I still unemployed since 2013. We are living from hand to mouth. But recently my younger brother has been diagnostics with Cancer. He needs more than 10 to 12 lac BDT or $12000 to complete his operation. But due to lack of money we do not continue the operation. It is really impossible for us to collect the sum of money. So I am praying help from Millionaires with my raising hand together to save his beautiful life. Please help us. My e-mail is...schakma2009@gmail.com. I am eagerly waiting your reply as soon as possible. I was diagnosed in September of 2014 with Progressive Relapsing MS and I had to leave my job of a home care giver to two developmentally disabled gentlemen I couldn't perform my job properly, I couldn't do the duties required to properly take care of them as I could barely take care of myself. I applied for Social Security Disability in October of 2014, I was denied in December, I immediately requested a hearing and retained an attorney I am still waiting for a hearing. I have contacted state senators, Congressman, even the governor and have been told they are checking into it. In March of 2015 I applied for Michigan's State Disability Assistance due to paperwork being shuffled around and caseworker being changed a decision that should have been made in 60 days took 5 months I was denied for that also, I have appealed that decision and am waiting a hearing on that. My fiance, Brad, is a US Navy Veteran who suffers from PTSD and other medical ailments. He also has a case into Social Security. He is also trying to get benefits from the VA for his PTSD he has suffered from since 1992. In August the VA paid for us to move (our previous landlords had decided to sell) and they paid 6 months rent, Brad gets Michigan's SDA which is $200.00 a month and is paid in increments of$100.00 twice a month after putting gas in the car to go buy groceries, pick up medicines, go to doctor appointments well most times there isn't enough to even get my medicines sometimes I have to wait to refill cause we don't have the dollar co-pay and one isn't even covered and that medicine is$25.46 a month. Brad's and my families are amazing and they have done everything and anything they can do, but both Brad and I are tired of being burdens to those we love so out of desperation I have set up a fund raising account to ask for donations to help us live. So if you could in any way help get this out there and to the public. I would appreciate it I have included the link in this comment. Ukraine Good afternoon! very uncomfortable to ask for help, Dear, well-off people, I'm a simple man, with a small income, I ask you to help me and my family to get out of debt Help pit, where I was once come to the ATO .s work very hard, podrabotka only enough food to children, If suddenly there is a wish to help Although I think it's just a cry into the void. But if suddenly a miracle happens, give any amount for the previously thank you very much. My name is Fouzia Bannu Khan ,am 24 year old female from India,am a single mother.I am writing to ask for financial assistance. My ten -year-old son , Ashu, was diagnosed with a kidney condition.Am a single mother i lost my Husband a year ago,I have no job, We stay in a one small on rent of $ 20 dollars per month, Before my husband died we had a little savings that is what we have been depending on,now is finished.Due to this i can not afford to give treatment to my son but only to see him die. I wish i could have the courage to write down all my sad life to you,its so worst than i can write to you. Despite all of these problems , Ashu still manages to carry a positive attitude and make every attempt to make others laugh. He loves playing soccer and basketball. I am requesting any assistance that you may be capable of giving, whether it is monetary support, publicity surrounding his condition, or a donation. I understand that you may receive many letters, like this one, requesting for financial support, and I honestly understand if you are not able to assist at this point in time. My name is Benny and i am asking if someone csn help me with 70000 dollars because my debts are killing me and i cant find a way out of it. My respected brothers and sisters. Am writing to you with a heavy heart and with tears gushing from my eyes due to the sadness i carry with me always, may His mercy and blessing be on you, seeking a favor from you.am complaining to you for what has happened to me seeking a solution firstly from Allah and then from you for matters which are too heavy for me, am helpless in combating the problems and for that I have resorted to seeking help from Allah first and from you. My life is filled with sad times but i hope with Allah's blessing and your support i will be able to put a smile on my face once again. My troubles started when i lost my father,since then life turned up side down in terms of financial support, to make matters worse i lost my father when i was in India doing my studies.Now am stranded in India because i do not have any support from anyone,my mother was a wife and she is asuffering from multiple sickness of which she is bed ridden.Am so helpless that i depend on my few friends for housing and feeding but my only hope of helping my mother is when i finish my MBA degree but i have no support to finish my studies or to go back home,since i do not have money. In Allah's name the Almighty,The most powerful,The creator,The most compassionate i humbly ask you to help me finish my studies,so that i can help my mother.I know you might ask what about your other family members ,my dear brothers and sisters am all alone no one is willing to help me,am so sick of my condition that i do not have even food to eat now.I swear in Allah's about my situation. Hopefully if i finish my studies i can work for you,Am in Os-mania university Hyderabad India,i will fully send all my details if you need them.Am a Uganda by nationality and my name is kayondo swaliki.My condition is too sad,I hope and hope Allah will always be with you.